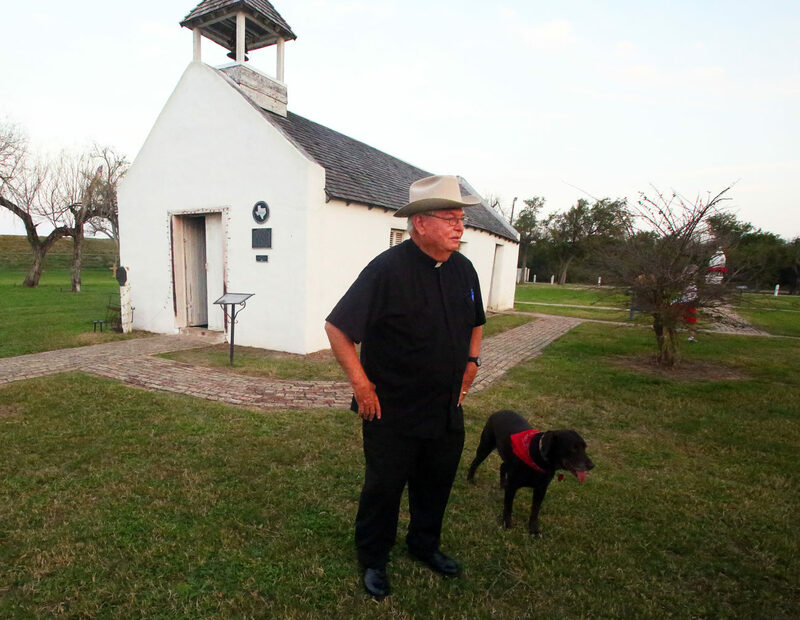 McALLEN — Standing outside the entrance of the federal courthouse here Wednesday, Father Roy Snipes of Our Lady of Guadalupe Church remained optimistic in the face of a ruling earlier that morning which allows the government access to survey the historic La Lomita Chapel. “We’ll follow the lawyers’ lead; we’re certainly protesting the wall going up between us and our chapel,” Snipes said after attending Wednesday’s federal court hearing. 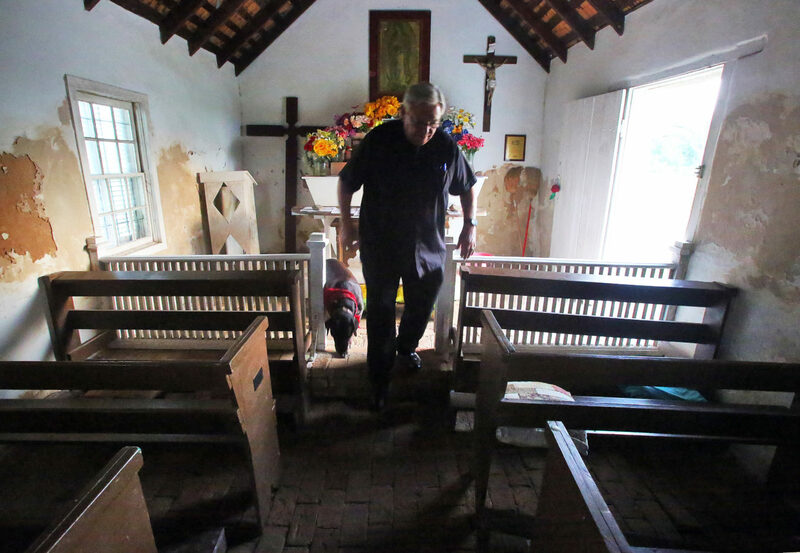 Moments earlier, a judge ruled in favor of granting the federal government right of entry to the La Lomita Chapel property, access which comes with a caveat: it’ll be under terms set by the Catholic Diocese of Brownsville. U.S. District Judge Randy Crane made the ruling in federal court Wednesday, deciding that the government’s access to the land surrounding the historic chapel in Mission, which is for surveying purposes in preparation for border wall construction, would not substantially impede visitors’ use of the chapel and ability to worship. The ruling comes more than three months after the government sued the diocese to obtain survey rights and gain access to the properties owned by the church, and after heavy machinery arrived in Mission near the chapel and environmentally sensitive locations, such as the National Butterfly Center and Bentsen-Rio Grande Valley State Park. In the Oct. 25, 2018 filing, the federal government said it was seeking to take approximately 64 acres from the diocese for the purpose of border fencing, court documents show. At the time of the filing, Bishop Daniel E. Flores of the diocese said that although he respects the men and women responsible for border security, it is his judgment that church property should not be used for border fence construction. “Such a structure would limit the freedom of the church to exercise her mission in the Rio Grande Valley, and would in fact be a sign contrary to the church’s mission,” Flores said in a prepared statement. La Lomita Chapel was founded by Oblate Missionaries in the mid to late 1800s and is the mother church to Our Lady of Guadalupe in Mission. The chapel, which stands just yards away from the banks of the Rio Grande, is also where thousands of Our Lady of Guadalupe parishioners have made pilgrimages to every Palm Sunday for decades. Crane ruled that the diocese and government representatives must negotiate the restrictions with the diocese. 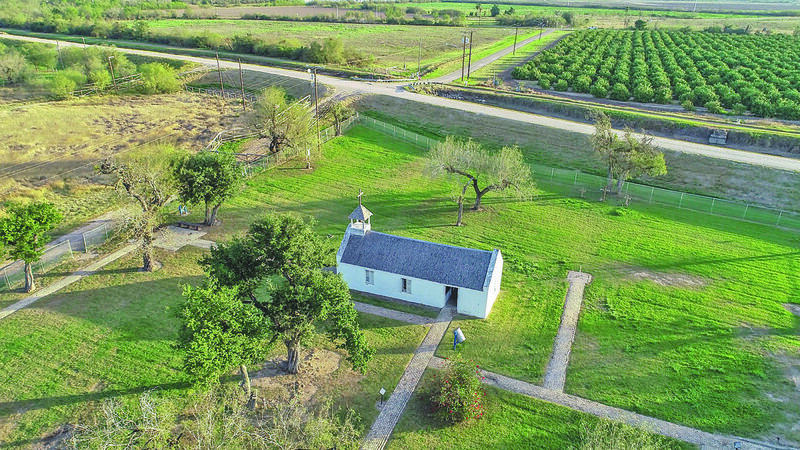 The access to survey and plan is the government’s first step toward its intentions of taking the property to build the border wall on the chapel’s levee. After the hearing, Mary McCord, lead counsel for the diocese in its case against the government, said that church and federal officials expect to begin talks on entry restrictions as early as Tuesday, going through the end of the week. “The diocese was not surprised that the court today granted the government temporary access to the property on which the historic La Lomita Chapel sits for the limited purpose of surveying, testing, and other investigatory work needed to plan the proposed border wall,” she said. McCord said the diocese would consider even limited access to the chapel’s property an intrusion, but understands the court’s ruling. The diocese’s restrictions, she added, will be to ensure that worship at the chapel is not interrupted; the hours in which surveying is conducted being one of the likely considerations discussed. She said arguments of substantial impediment would come later if and when the government tries to take ownership of the chapel’s property to build a wall. “The court seemed to recognize, and the diocese certainly recognizes and (will) pursue further relief if and when the government persists in taking the property for the actual building of the wall,” she said. Still, McCord hopes the government will find another way of securing the border. If the government decides to move forward with a declaration of taking, the diocese will use the Religious Freedom Restoration Act as the basis for its case. In addition, McCord said the government has yet to establish why it believes it’s crucial to build a wall in that location. “… It has never established that there’s a particular problem with cross-border migration at the site of La Lomita, it has never established that this is an area of drug smuggling, this is an area where terrorists seek to cross, and it has never established that it has considered other alternatives that might protect what the church acknowledges is of course a governmental interest in border security,” the attorney said. She also referenced the Pharr Oratory, a Catholic school in Pharr, being one of the properties owned by the diocese to which the government was also granted access. The main difference between the two locations is that the government was seeking access to the school’s property that sits on the north side of the levee. Such an argument was made by the diocese’s attorneys in its Dec. 31, 2018 supplemental brief opposing the government’s motion for immediate possession, court records show. “… The diocese refused to grant the government’s requested right of entry and continues to oppose the government’s motion for immediate possession because it cannot, as a matter of Catholic faith in practice, participate in the building of a border wall that is contrary to the diocese’s sincerely held religious beliefs… the wall is inconsistent with Catholic teachings on the universality of human solidarity,” the brief read. In addition, she said it was important the court was made aware that the chapel is used regularly not only by the diocese, but by members of the Catholic community, and non-Catholics, who seek to worship and find solace there. “… Making it clear that this is still a regularly used church property was important. The court is also very well aware, as is the U.S. government, that if they persist in trying to take the property to build the wall, there will be much more significant claim to be made,” she said. McCord said assuming both sides agree to the restrictions, she’s hopeful they can submit something to the court by next week, which then would open the door for the government contractors to access the chapel’s premises.